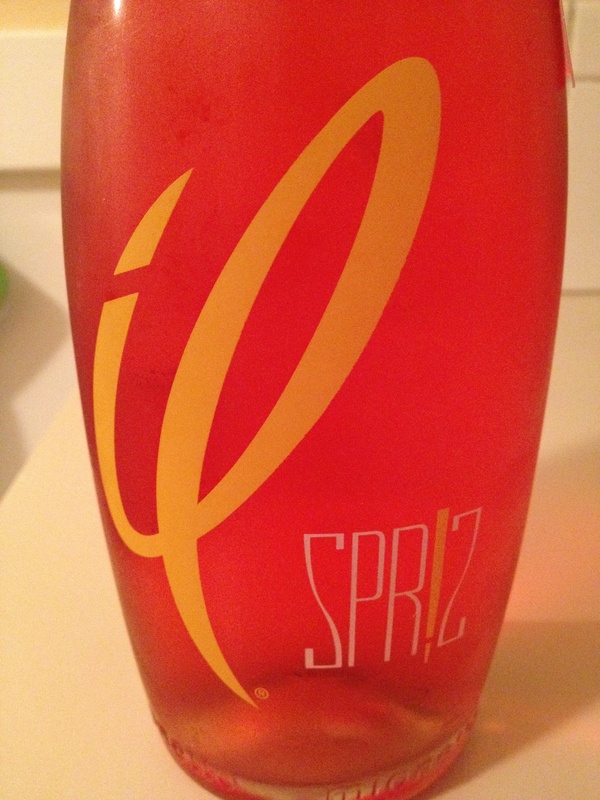 I kindly received a complimentary bottle of a newly launched sparkling aperitif, Il Spr!z. It is an orange flavored sparkling wine. What a refreshing summer combination! At first, I thought it was going to be very sweet, but it certainly wasn’t… it was slightly bitter, very orange, and perfectly bubbly…and I really enjoyed it! In addition to having a glass on its own, I decided to make a Sparkling Creamsicle by adding vanilla vodka to the orange sparkling wine. YUM! A great summer drink. In the fall, you could also add some cinnamon. I have a tendency to buy too much food at the supermarket… sometimes I have visions of meals that just never get made or sometimes I buy items that are on sale. I decided to make dinner this week with what was already in my fridge. I found some goat cheese, chicken tenders, an orange, and some almonds. 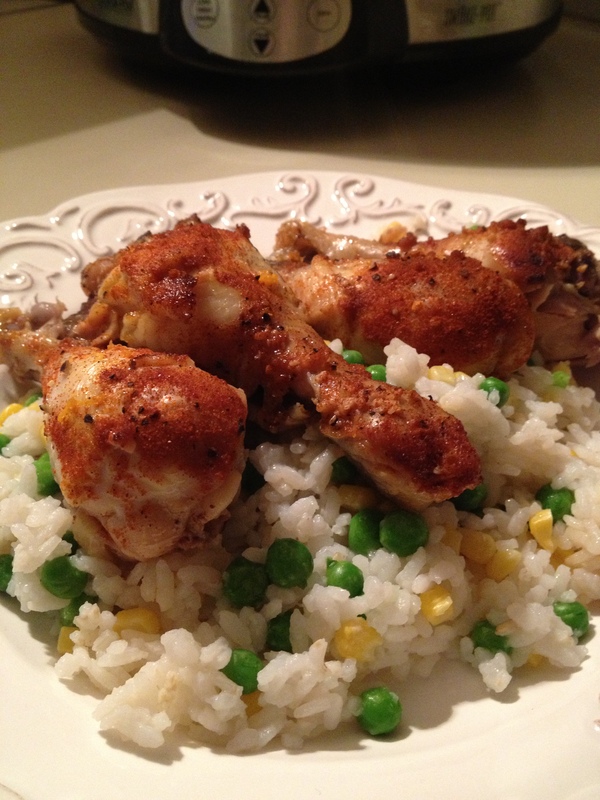 Random ingredients, but perfect for Honey Orange Chicken with a side of Goat Cheese Peas. I was stunned at how quick and easy it was to make! 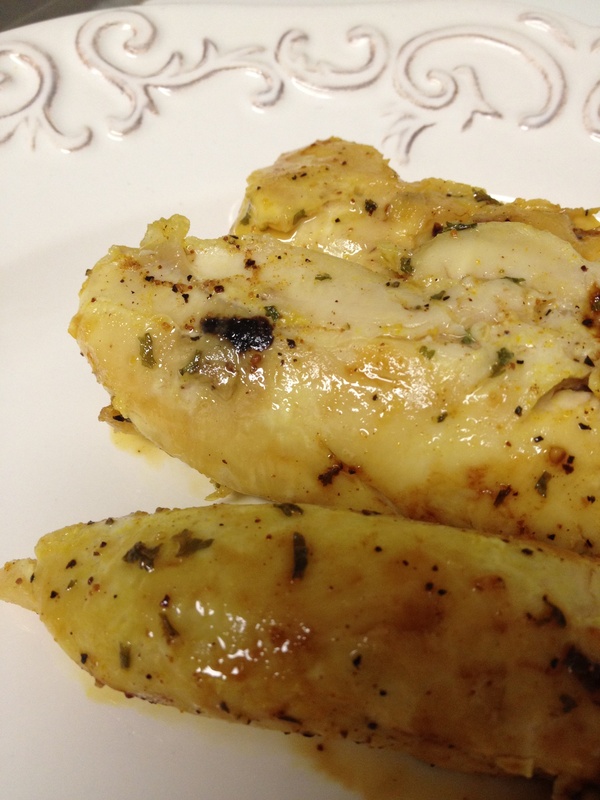 In a greased cast iron skillet, put the chicken tenders over medium heat. Smother them with half of the orange juice and half of the honey. Sprinkle half of the seasonings on top. After about 4 minutes, turn the chicken tenders over and smother them with the other half of the juice, honey, and seasonings. After another 4 minutes, flip one more time and let cook until cooked through. In a large sauce pan, pour the peas and water. Cover and cook over medium heat until they are tender, about 10 minutes. Be careful not to overcook them. 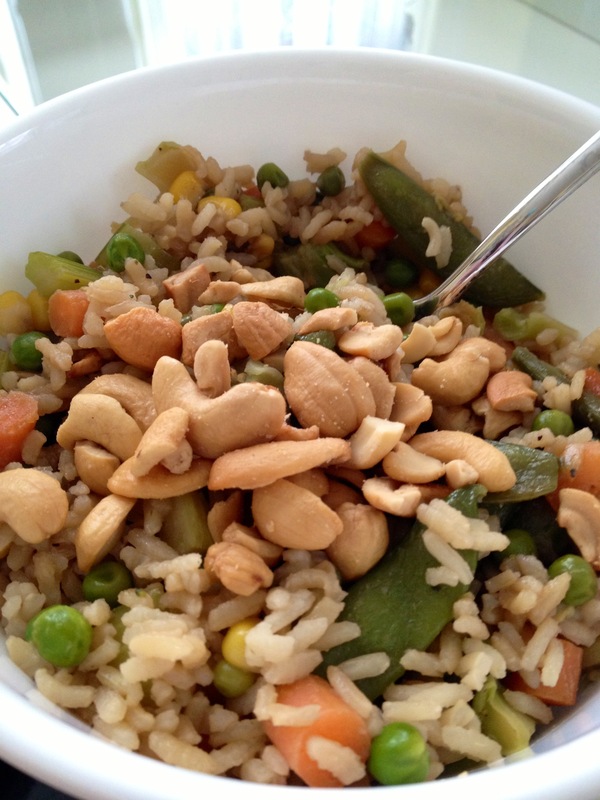 While the peas are cooking, spread the almonds over a saute pan. Heat the almonds on low heat for about 4 minutes, just until they toast. Be careful they don’t burn. 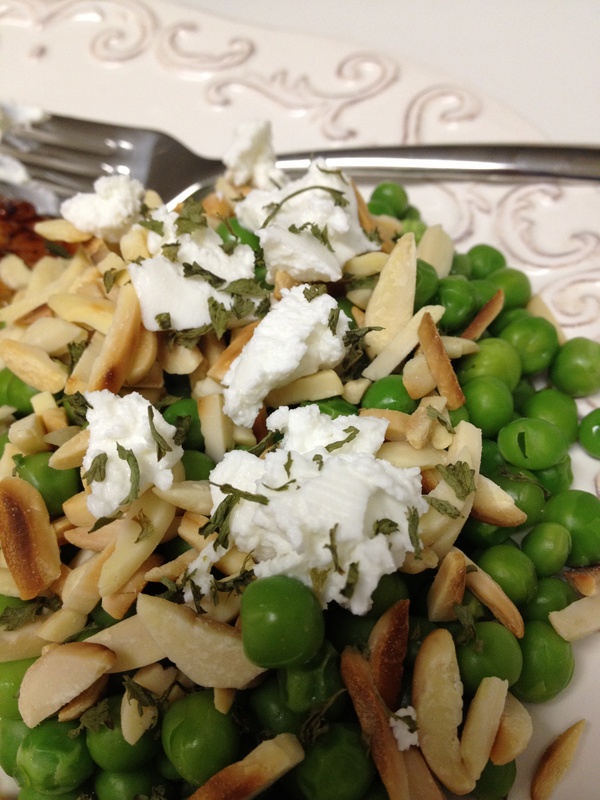 Toss the peas with the almonds. Serve with the goat cheese and parsley on top.